Care for the Community provides assistance to urban communities in hopes of building a stronger tomorrow. Without access to the proper resources, low income families that reside in urban communities tend to neglect health and fitness. 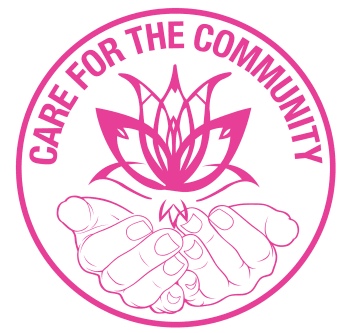 Care for the Community provides support by partnering with local businesses and community leaders that can facilitate the growing need for health and wellness services in our communities. We host several annual events that focus on maintaining a healthy and active lifestyle. Through education, partnered with Greater Orlando Cares, Care for the Community is committed to changing the lives of urban youth for the better by using their low cost, high impact group mentoring model to nurture under resourced children, cultivate their self esteem, increase their academic achievement and develop their communications, problem solving and other life skills. Through a partnership with Blessings in a Backpack, Care for the Community is committed to fighting childhood hunger and obesity in Central Florida. Blessings in a Backpack provides food for elementary school children who may otherwise have little or no food to eat on the weekends during the school year. Better test scores, improved reading skills, positive behavior, improved health and increased attendance have all been attributed to the success of this program. Work with members in your community. Let's make a difference together.